Keeping you active and on your feet-that's our first priority at Advanced Foot Clinic, your qualified podiatrists in Oakland. The first step to healthy feet and improved foot function begins with a visit to your expert Oakland podiatrist. Our website is designed with the belief that the more you understand about your foot health, the better we are able to serve you and your feet. As you navigate the site's pages, you will find valuable information about our practice, including hours of operation, directions to our Oakland office, payment policies, staff bios and more. We hope that you will consult these pages whenever you have a question or concern about your foot and ankle health. 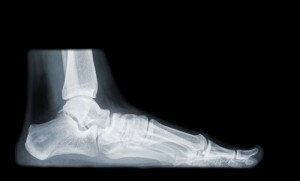 We strive to improve your foot health by utilizing the latest treatment techniques and procedures. Walk into our office, and walk out with an improved foot health. Our Oakland podiatrists look forward to caring for you! We welcome you as a patient to our Podiatry practice here in Oakland, CA. We are constantly adding new information to our website to provide you with the most current information and treatment solutions. Please feel free to call us anytime to see how we might better be able to help you. Dr. Lavigna and his staff of professionals have been caring for foot problems for over 20 years. He is chief of Podiatry at Alta Bates Medical Center, a member of the American Podiatric Medical Association, and the California Medical Podiatric Association. He strives to improve your foot health by utilizing the latest treatment techniques and procedures. Walk into his office, and walk out with an improved foot health. Dr. Lavigna looks forward to caring for you! Dr. Richard Lavigna is a recognized professional in the Bay Area medical community. He specializes in foot and ankle care for personal injuries, illness, Workers’ Comp cases, and cosmetic procedures.